We’re going to the NH Home Show over the weekend to show our custom printed wallpaper. Our booth is pretty cool, and worth a mention in this space. What we did was print the graphics on the wallpaper itself, and then apply them to the 22 mil PVC we usually use for trade show booth graphic panels. We used a cold applied adhesive to do that. The wallpaper material itself is not rigid enough to hang in a trade show booth. 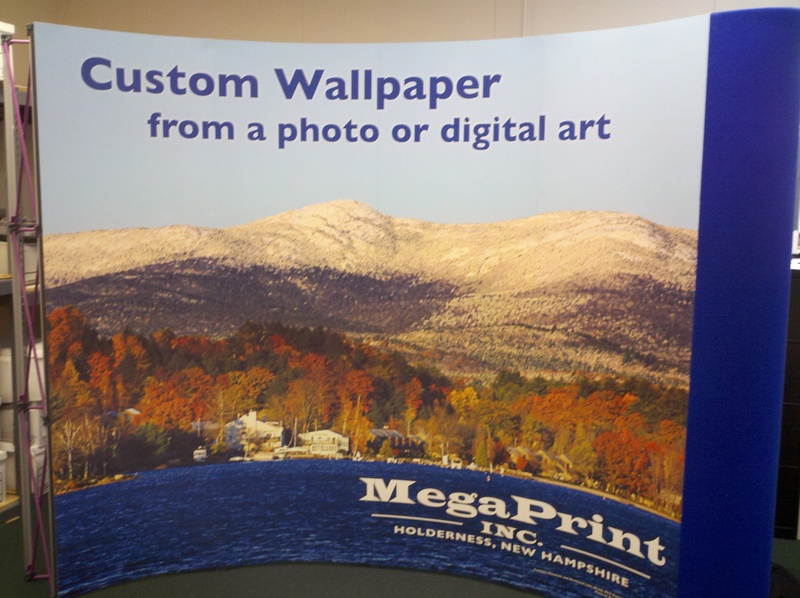 This gives us a trade show booth that shows the customer exactly what our custom wallpaper looks like, and the kind of quality we get from a 10 megapixel photo (this one taken by our own Bob Misuraca). We’re excited about showing our custom wallpaper capabilities to the homeowners and architects that attend the show. Stop by and see us at the Radisson in Manchester! This entry was posted in Custom Printed Wallpaper and tagged pop up booth graphics, trade show booth, trade show panels. Bookmark the permalink.